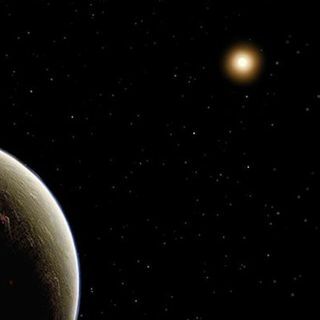 In the fictional Star Trek series, Vulcan, Spock's home planet was imagined to orbit the A component of the triple star system 40 Eridani [Eri-dani ]. Recently astronomers using the Dharma Planet Survey 50 inch telescope on Mt. Lemmon, Arizona have discovered that there is indeed an actual planet, named HD26965 b, with mass of 8.5 times that of Earth orbiting the star 40 Eridani A once every 42.38 days.